Special Containment Procedures: SCP-1094 is kept within Site-94, a containment site disguised as an office building belonging to a private company. Attempts made by civilians to enter Site-94 should be deterred, with amnestics being distributed should it be found necessary. No personnel are to enter the established safe zone around SCP-1094 except during authorized testing sessions. Personnel expressing interest in interacting with SCP-1094 are to be moved from the site immediately. 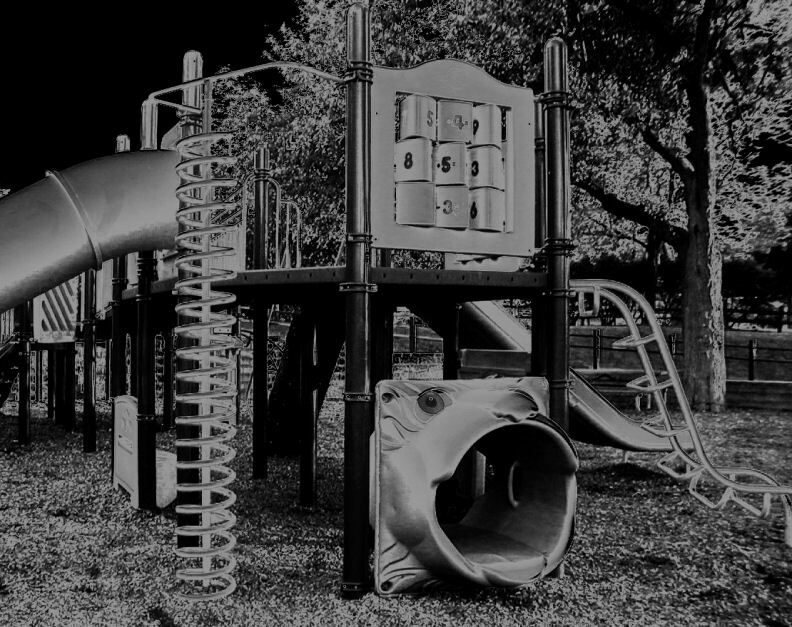 Description: SCP-1094 is a playground, located in [REDACTED]. The playground contains standard recreational equipment including see-saws, merry-go-rounds, slides, monkey bars and swing sets. The equipment is constructed out of wood, plastic and steel and displays no unusual properties on its own. SCP-1094 appears to be inhabited by one or more immaterial entities that manipulate the equipment on a regular basis, as personnel have reported such things as swings moving on their own or hearing sounds from the slide. The nature of these entities and their connection to SCP-1094 is not fully understood. Human beings near SCP-1094 feel compelled to play within it. This effect appears to have a circular range of approximately 17 meters around SCP-1094 and is entirely psychological in nature. This urge is stronger depending on the age of the subject affected, with pre-adolescents reacting the most to exposure. Subjects past puberty can resist the urge with moderate difficulty, but the severity of the urge is increased if the subject directly views or hears another human interacting with SCP-1094. Playing within SCP-1094 induces a state of euphoria in the subject, causing them to ignore any previous assignment or duty in favour of continuing to play with SCP-1094. Repeated and continuous exposure to SCP-1094 via physical contact with any of the recreational equipment available causes the subject interacting with it to disappear. In all of the ██ cases this has been tested, the subject disappeared while they were already completely absent from sight, such as when they were using the slide or climbing through the tunnel connecting two parts of the larger structure. Any tracking device placed on the subject previous to their disappearance will be found in the structure the subject disappeared within. Discovery: SCP-1094 was discovered when reports of a series of disappearances in the town of [REDACTED] surfaced in media. SCP-1094 was tracked down as the source of the disappearances and was successfully contained. Out of the ██ reports, █ were found to have been caused by SCP-1094. Security efforts were doubled following the disappearance of Dr. R██████.